Liquid Transfer Pump - Electric Siphon - Pumps 5 to 6 qts. Per Minute | BUDK.com - Knives & Swords At The Lowest Prices! 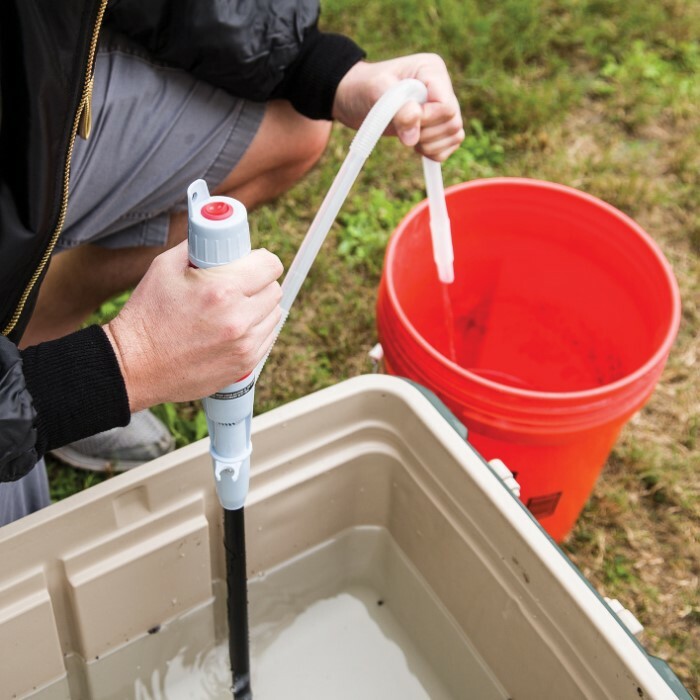 Great for siphoning liquids from one container to another, filling kerosene heaters and much more! 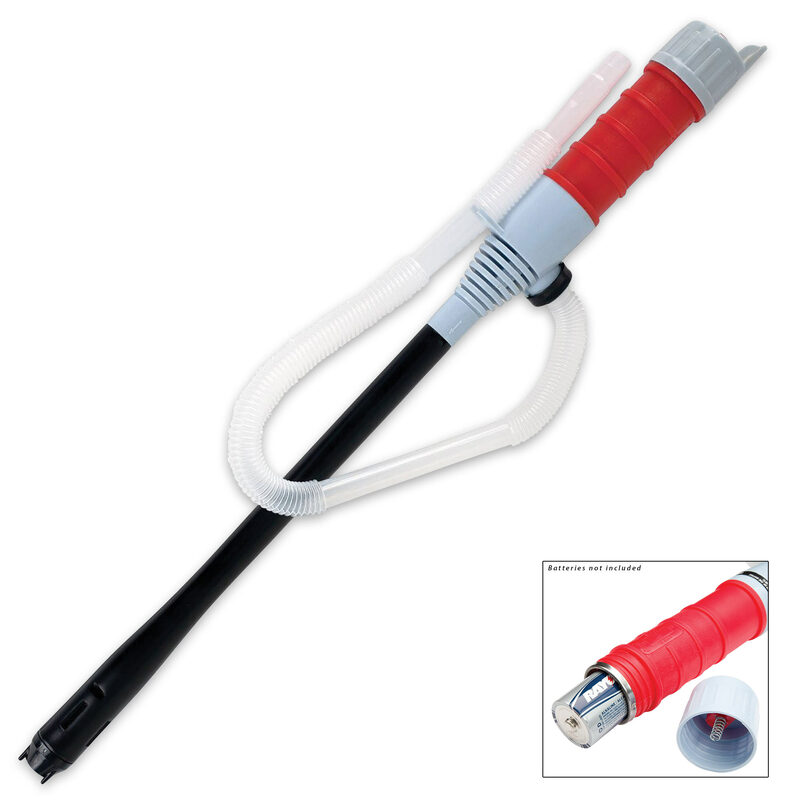 This Liquid Transfer Pump is a great addition to your vehicle emergency gear. Whether you are filling a kerosene heater or siphoning water from your rain barrel to your water filter, this electric pump makes fast work of small jobs. It pumps 5 - 6 quarts of liquid per minute, including gas, water, oil or other noncorrosive liquids. 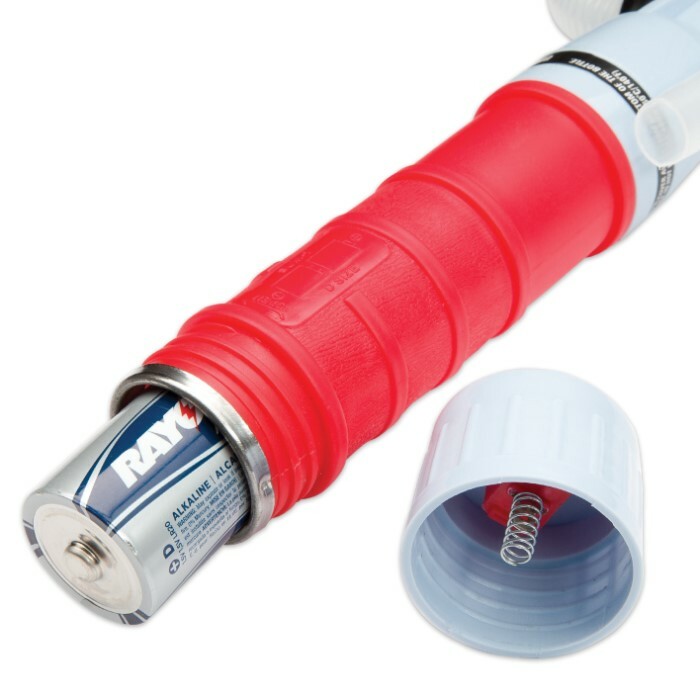 It features tough synthetic polymer construction and requires two D batteries (not included). 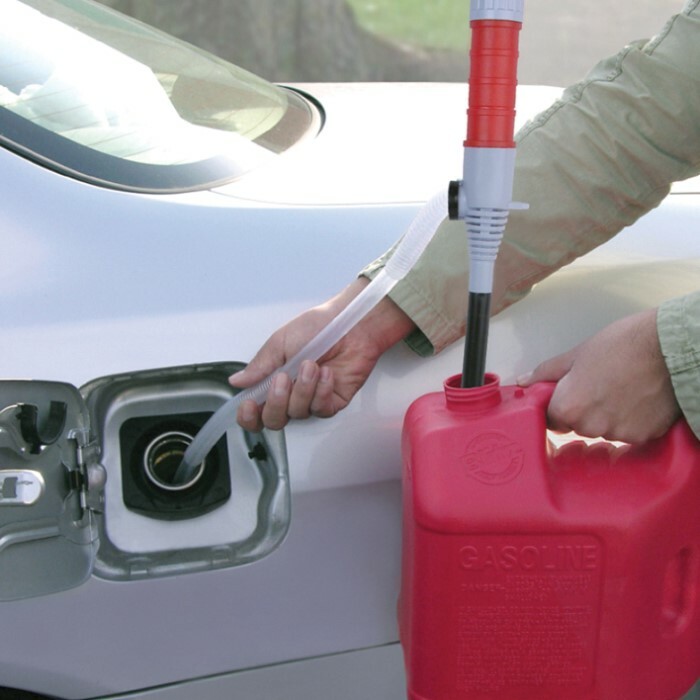 The siphon hose is 24” long, which is long enough to reach into most gas tanks on modern vehicles. It will make dropping the tank a lot easier next time you need to change your fuel pump! I've been using this pump for over 10 years and I love it. I just ordered a second one to have as a spare. Batteries seem to last a long time also. I have used this pump to fill kerosene heaters over the past month with no problems ! It works fast with the flip of a switch, no mess and easy to use !